Spending too much money on new clothes? If you want to make sure that you’re always dressed your best, the cost of buying clothing can soon add up. If you’re finding that when you go through your monthly expenses clothing is taking up a large part of your expenditure, it may be time to weigh up your options and search for ways to cut back on how much you spend on what you wear. We’ve put together a list of the different things you can do to spend less cash on your clothing. Taking your clothes shopping online rather than hitting the high street stores can help to save you a chunk of cash. Online retailers tend to offer much cheaper prices than physical stores, as they have less overheads to pay and therefore can price their clothing items much cheaper. Online retailers also tend to have more sales and special offers, meaning cheaper prices than the ones you’d pay on the high street. View this boutique dress online store for some great deals. 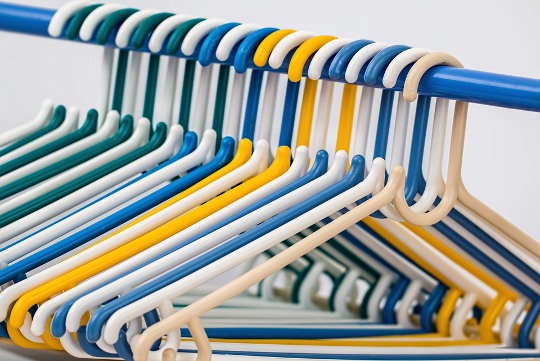 Opting for second hand clothing can be a fantastic way to save more money on your clothes shopping. A large portion of used clothing items can be bought at a fraction of the retail price, and in many cases, you’ll find second hand clothing that has been barely worn or even never worn by the previous owner. eBay is a great website for finding great quality clothing which is listed at cut prices due to it being second hand. Have you ever considered swapping your unwanted clothes for new ones, rather than going out and buying more clothes? There are a number of online sites and mobile apps which you can use to either sell or swap your unwanted clothing. Vinted is one such app which you can download that allows you to exchange your unwanted items of clothing for those of others, usually at no charge depending on the value of the items you are swapping. Rather than continuing to buy extra items of clothing, it’s a good idea to come to an agreement with yourself that for each item of clothing which you buy, you’ll sell one that you no longer wear. Everyone has some closet clutter, and if you have a good clearing out of your closet you’ll most likely find a number of garments that you haven’t worn in ages and have barely given much thought to since the last time you had it on. These days, there isn’t often a huge amount of difference between fashion trends. Last season’s fashion is often quite similar to current fashion, meaning that you can get away with shopping out of season without looking completely unfashionable. Because those styles that are in season are going to be the most expensive, opting for out of season styles can help you to save a fair amount of money as they will be reduced in price. Do you have any saving tips for buying clothes? Let us know in the comments.